ASEAN countries have large forests and various forest resources. However, there is a decrease in some countries due to irregular logging in some countries. This is why sustainable forest management is needed to maintain the biomass of forest resources. Indonesia has the largest forest area, but has declined since 1990 primarily due to illegal logging and forest fires. Malaysia has the highest number of biomass and forest growth in area ratio, while Thailand is the lowest. 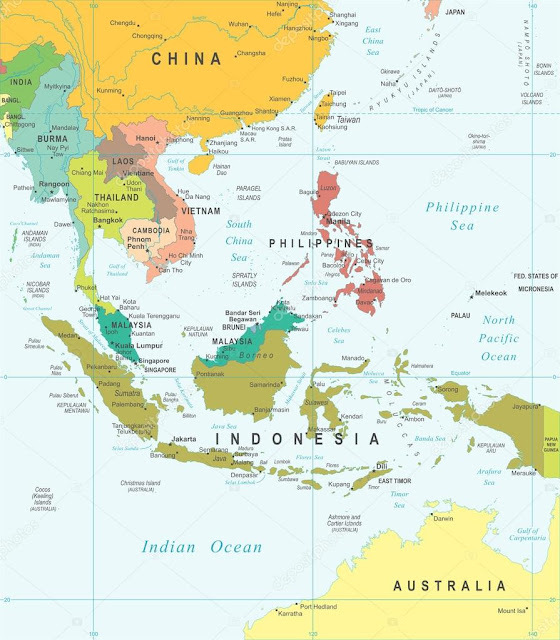 This could also be due to higher rainfall in Malaysia compared to other ASEAN countries, which is 2,875 mm / year, with an world average of 900 mm / year and Indonesia 2700 mm / year. For more details can be seen in table below. Indonesia and Malaysia mainly produce sawn wood and plywood, while Thailand is wood chip and particle board. Vietnam produces many sawn wood, while Cambodia and Laos consume lots of logs as fuel. Wood charcoal briquette or sawdust charcoal briquette have a very high market especially in Middle East, Saudi Arabia and Turkey. These countries use sawdust briquette charcoal to bake the meat, especially the lamb which is a favorite food there. 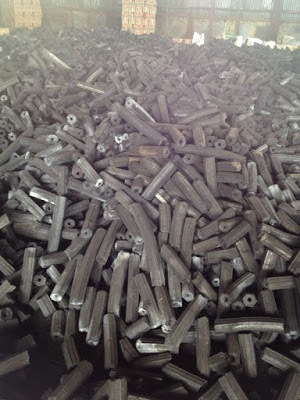 The production of sawdust briquette charcoal uses logging residues and industrial wood residues. This should be the extent of forest and wood processing industries comparable to the sawdust briquette charcoal industry. The abundant logging wastes are usually the tops of small diameter trees and branches. The logging waste is about 100% average for the production of the logs themselves, so that the amount is huge. Sabah, Malaysia and Kalimantan, Indonesia produces many of these logging wastes at very cheap prices. As for waste wood processing industry is usually in the form of sawdust, and wood pieces both board and round wood. It is estimated there are 1600 sawmills and 120 plywood factories in Indonesia. The raw materials of the plywood industry are originally from natural forest, but as demand continues to increase the supply of natural forest timber decrease so that it shifts with wood from the planted trees. When using wood from natural forest, the diameter of wood can be more than 70 cm and when using wood the trees planted wood diameter is only about 30 cm. Samarinda, East Kalimantan, Indonesia at first many plywood factories were operating but due to the declining timber supply of many of these factories which shut down production. The yield of plywood from raw materials is 50%, while the remainder becomes waste. Part of the waste is used for block board and packing material, but only about 10%, so 40% is still waste. 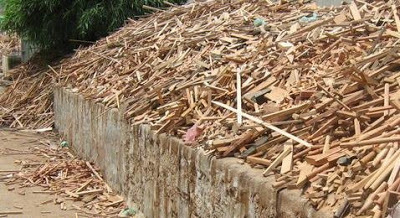 While in Malaysia, the total volume of wood industry waste estimated 7.5 million cubic meters per year. The highest sawmill waste in Sabah, while plywood waste in Sarawak. Sawmill produces sawn wood products ranging from 40-65% and the remaining 35-60% are sawdust. While yield for ply wood ranged 50-60%, while 40-50% as waste. For the molding plant its yield is higher ie 70-74%, means waste 26-30%. Percentage of wood waste from 75% ply wood industry and 25% from saw mill industry. Utilization of wood industry waste is still not optimal, even just stockpiled and then burned because it is considered polluting the environment. In Laos, there are about 200 wood processing factories (furniture, packing materials, flooring and doors) located mostly around Vientiane, the capital of Laos and only one plywood factory. Charcoal producers are scattered everywhere in the country due to high demand for households. The yield of the wood processing industry is about 60%, so that 40% is waste. Utilization of waste is also not optimal, such as sawdust just dumped just behind the saw mill. Production of sawdust briquette charcoal (wood briquette charcoal) will be the solution for the utilization of such waste. Sawdust is the best raw material because it does not need size reduction and can be shorter production process. Whereas if the waste is still in the form of pieces of wood then it needs for size reduction first to the size of the particle like sawdust. After that if the wood powder is still wet (moisture content more than 10%) it is necessary for drying with a rotary dryer or drum dryer. Furthermore, after dry powder material is followed by briquetting and carbonisation process into sawdust briquette charcoal as the product.